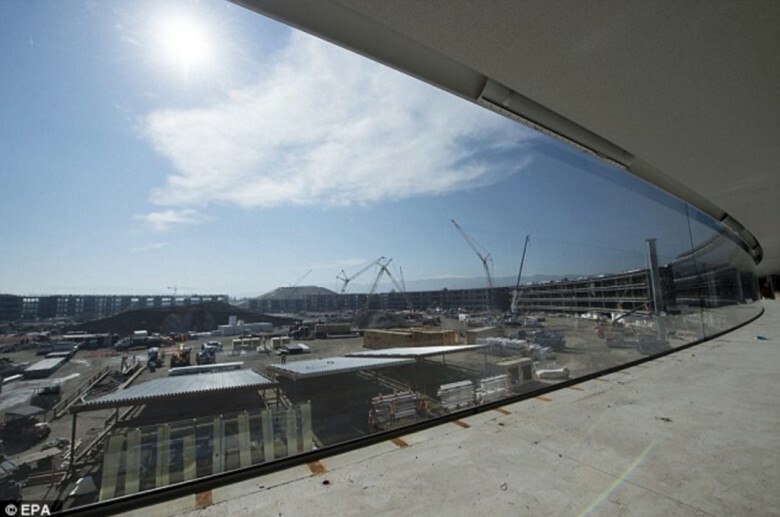 More than 3,000 giant curved glass panes will be used at Apple campus 2. 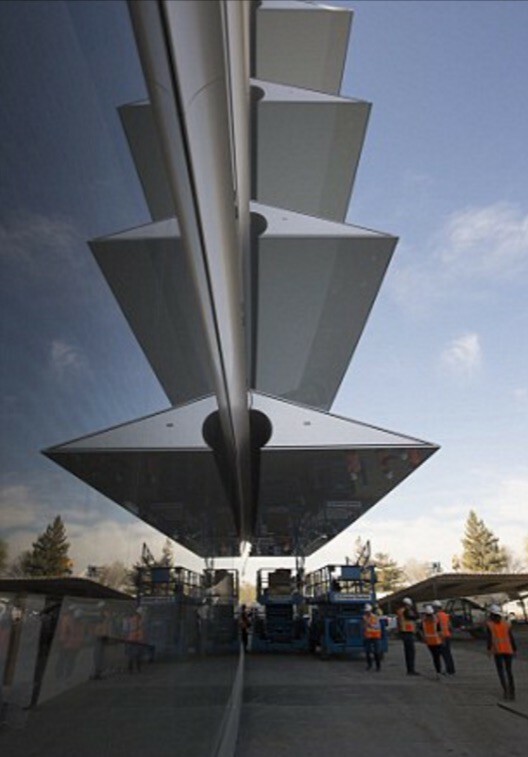 The world’s largest piece of curved glass is currently being installed at Apple’s fabulous spaceship campus. 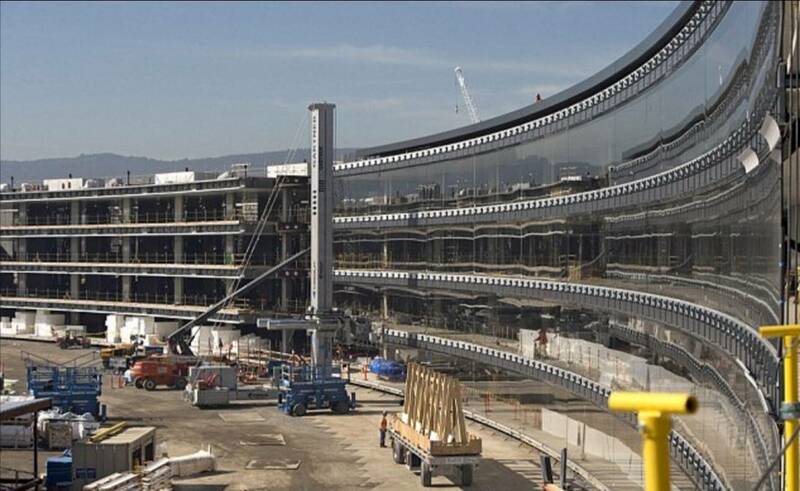 Over 3,000 gigantic curved glass panes will be used to form the walls on both side of Apple’s four-story campus that will measure more than one mile around. 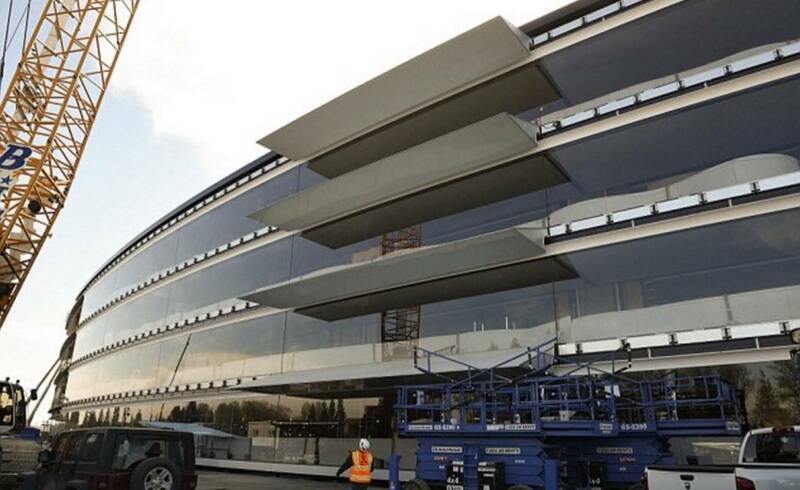 Apple will use more than six kilometers of curved glass once the project is completed at the end of 2016, so the European Press Agency decided to get a closer look at the monstrous project as it enters its most delicate phase. Apple brought in its longtime partner Seele from Germany to make the curved glass panes. Seele also created the glass for Apple’s iconic Fifth Ave Store as well as other flagship Apple Stores. The panes are installed using a 21 meter high Cimolai manipulator, which raises the glass in place while workers fasten it to the facade. You can see the tower like machine in the middle of the picture above, while a trailer that holds two of the large panes is in the fore ground. The panes for the exterior ring of the spaceship measure 15m × 3.2m each. On the outer ring they’re slightly smaller at 11m x 3m. The building also supports large white canopies on the side and solar panels all over the roof.